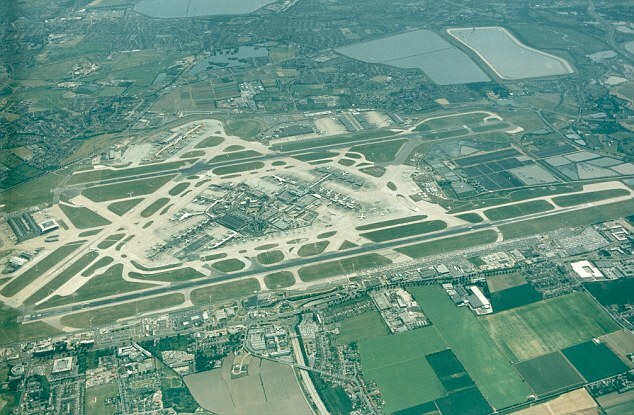 New runways at Heathrow and Gatwick are among the options that have been short-listed by the Airports Commission for expanding UK airport capacity. The three short-listed options include adding a third runway at Heathrow, lengthening an existing runway at Heathrow, and a new runway at Gatwick. The commission, led by businessman Sir Howard Davies, has also not ruled out a new airport in the Isle of Grain. However, it says it will need further analysis before deciding. A final report is due by the summer of 2015. Sir Howard was asked in 2012 to investigate the options for expanding the UK's aviation capacity and try to come up with a plan. He said the Commission's analysis showed one net additional runway was needed by 2030. "The capacity challenge is not yet critical, but it will become so if no action is taken soon," he added. The Mayor of London, Boris Johnson, has said that putting a new runway at Heathrow would be a "catastrophe". Following the commission's report, Mr Johnson said he continued to support the creation of the Isle of Grain airport in north Kent. 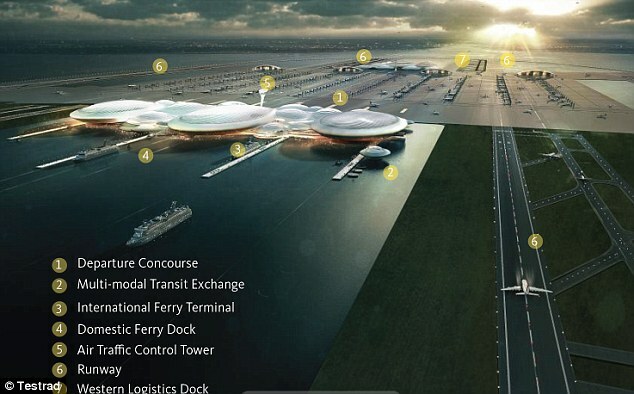 "A new airport in the inner estuary is the only credible hub option left. By keeping it on the table, Davies is saying you have a choice - between a damaging U-turn or a radical new vision for expansion," he said. The commission said it would undertake further study of the Isle of Grain option in the first half of next year, before deciding whether it offers "a credible proposal for consideration alongside the other short-listed options". But supporters of Heathrow's expansion say it will be quicker and cheaper than other options and will help to maintain the UK as an international aviation hub. Heathrow's owners submitted evidence to the commission arguing that a new runway could be in place by 2029, allowing 260,000 more flights. Colin Matthews, Heathrow chief executive, told the BBC: "The case for Heathrow is strong. It's important that businesses can get around the globe to where economies are growing." Heathrow is one of the world's busiest hub airports, handling 70 million passengers in 2012. A third of those travellers were transit passengers transferring to other flights. But the airport operates at 98% of its capacity. When the coalition government came to power in 2010, it scrapped the former Labour government's plan for a third runway at Heathrow. The government said on Monday that it had not ruled out any options when it came to airport expansion in the south-east of England. 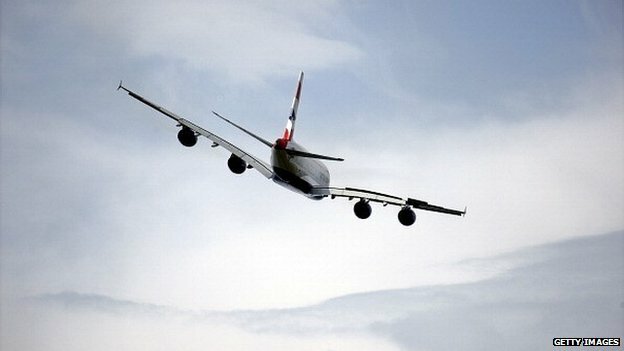 On Sunday, Transport Secretary Patrick McLoughlin said that the government would stick to its pledge not to build a new runway at Heathrow before 2015. He told the BBC: "We will not be building a third runway in this Parliament. We will stick by our manifesto commitment." 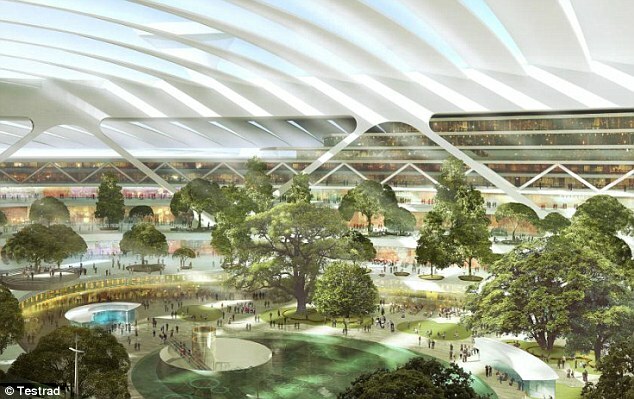 The commission has not shortlisted proposals for expanding Stansted or Birmingham, but said there was likely to be a case for considering them as "potential options" for any second new runway by 2050. Possible options for a new London hub airport - the government on Monday said has not ruled out any options when it came to airport expansion in the South East. 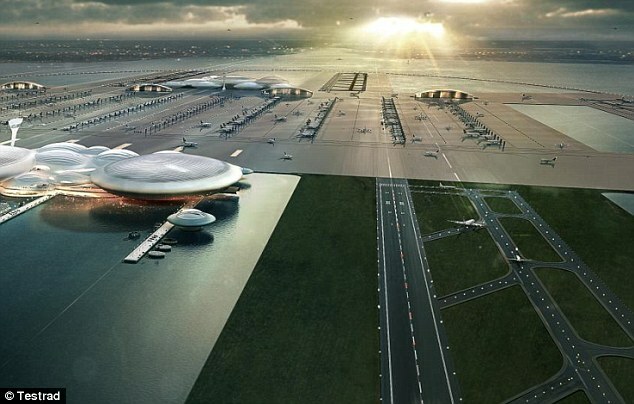 A new six-runway hub airport to the east of London could be built within seven years at a cost of £47.3billion. However, the ambitious plans would require the closure of Heathrow airport, which employs 76,000 people. 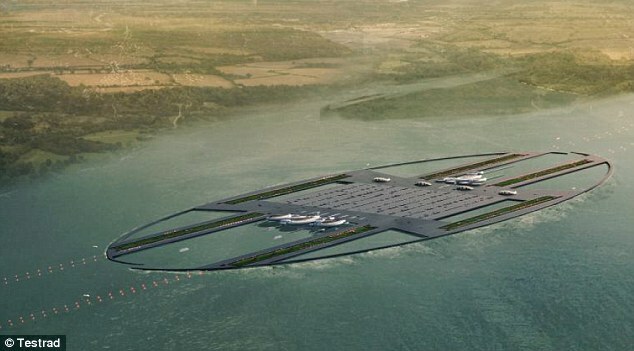 The proposed new airport would sit on a purpose-built island off the Isle of Sheppey in Kent in the Thames Estuary, some 50 miles east of central London, and would be known as London Britannia Airport. 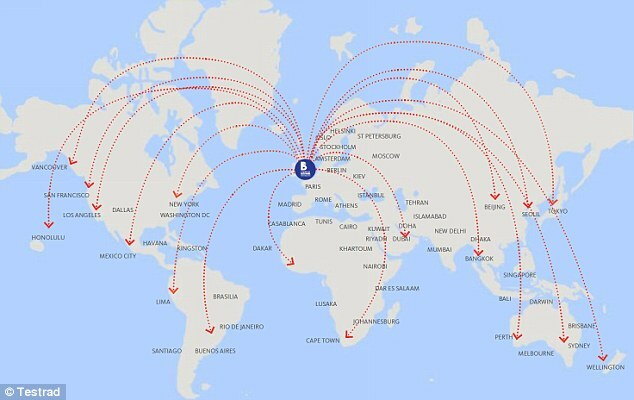 The British government and business groups want to expand flights to fast-growing economies to ensure the UK can tap into billions of pounds of trade opportunities. With Heathrow, London's biggest airport, operating at 99 per cent capacity, more runways are needed. However, the island airport has been criticised by environmental groups, who say the estuary is not just 'dead space waiting for development'. The proposal was released by Thames Estuary Research and Development (Testrad), a consortium formed by London Mayor Boris Johnson to address the capital's air capacity crunch. The estuary airport is a passion project for Mr Johnson, who has blasted plans for a third - or even fourth - runway at Heathrow. He said any expansion will 'consign millions of Londoners to unacceptable levels of noise pollution', while a three-runway airport would be 'obsolete' as soon as it was built. Testrad said the new hub would have six runways and could be built within seven years without having to demolish houses or industrial infrastructure. It will also create 200,000 jobs. 'This project avoids flying over densely populated areas of London and the south east, removing completely the noise contours and impact which have bedevilled millions of people throughout and around London over the past 40 years,' a Testrad spokeswoman said. Testrad has proposed the Heathrow site is 'recycled' into a new borough for London, creating housing and business opportunities. It added: 'Under wartime legislation in 1944, the village of Heathrow and valuable farmland was requisitioned for a new military airfield. The scheme has attracted condemnation from a number of environmental groups, notably Friends Of The Earth, WWF and Greenpeace UK. The Royal Society For The Protection Of Birds (RSPB) has also dismissed the campaign and says the consortium has failed to address the 'considerable' environmental issues. It said much of the estuary has international environmental protection and added that hundreds of thousands of birds use the estuary as a major migratory route, posing a considerable threat to planes from bird strike. 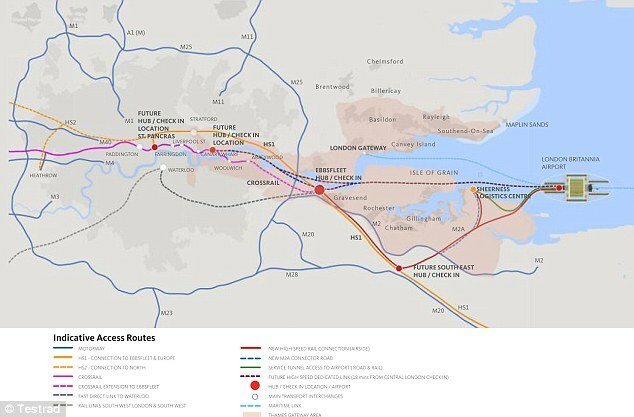 Chris Corrigan, the RSPB’s Director for South East England said: 'Boris continues to pursue this pipe dream, but no amount of wishful thinking on his behalf changes the fact that the Thames Estuary is not dead space waiting for development. 'It is home to an immense number of birds and other wildlife. You can not recreate the estuary nor move the native or migratory wildlife that relies on it for food and shelter. 'I'm sure the Mayor doesn't want to go down in history as the man who decimated not just birds in the Thames, but global species too, while putting air passengers lives at risk due to bird strike. But Heathrow vehemently opposes the plans. In June Colin Matthews, CEO of Heathrow, said: 'Britain already has one of the world’s most successful international hub airports in Heathrow. 'Expanding Heathrow will put Britain ahead in the global race, connecting UK business to growth more quickly and at less cost to the taxpayer than any other option for new capacity.